McCormick County vital records are under the purview of the McCormick Public Health Department Vital Records Office, which provides certified copies of records 1916-present to family members for in-person/by-mail requests (online through VitalChek). 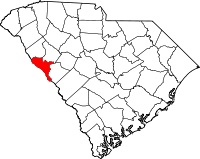 McCormick was formed in 1916 from Abbeville, Edgefield, and Greenwood Counties; requests for records pre-1916 must be directed to these counties. Historical records (births 1641-1914 and deaths 1641-1960) are also available at the state Department of Archives and History in Columbia, with an online index for 1915-1960 deaths on the state Department of Health website. The County Probate Judge handles requests for pre-1950 marriage records, and the County Clerk requests for post-1949 divorce records.